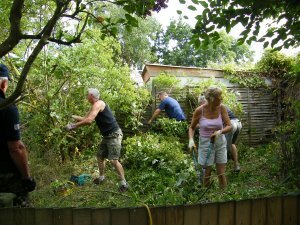 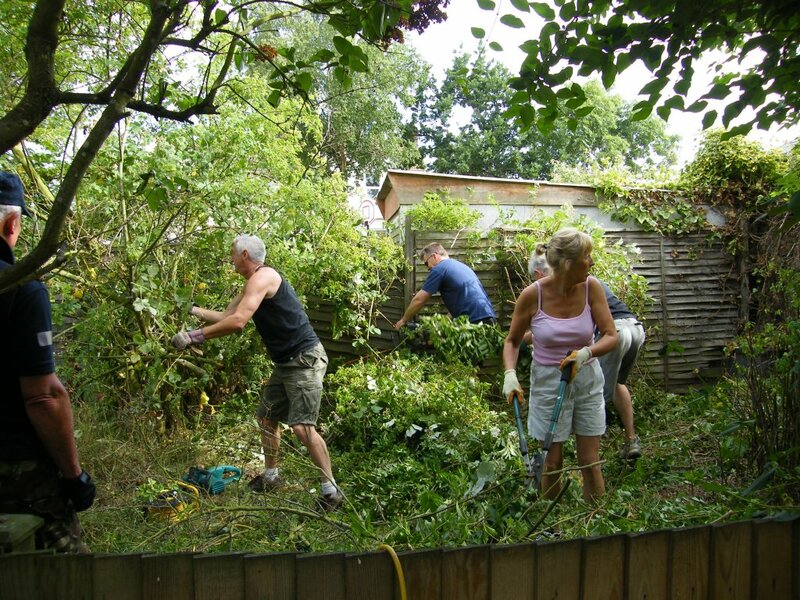 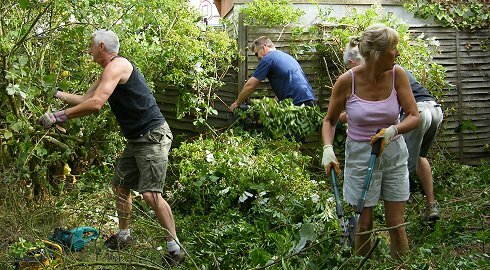 Volunteers gathered in Westminster Close, Ipswich on a sultry summer morning armed with chain saws, loppers, shears and energy and cleared an overgrown garden area and even uncovered a previously hidden stone and cement wall. 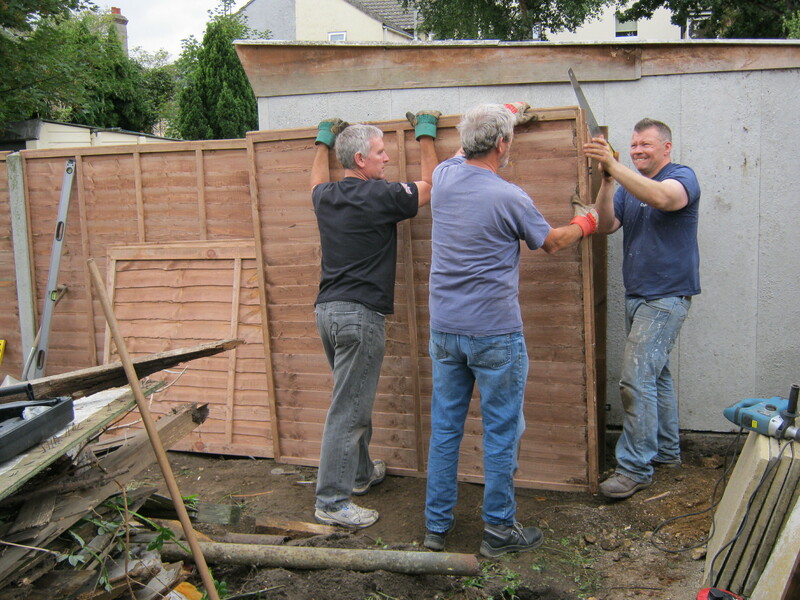 A great job by the smiling demolition squad. 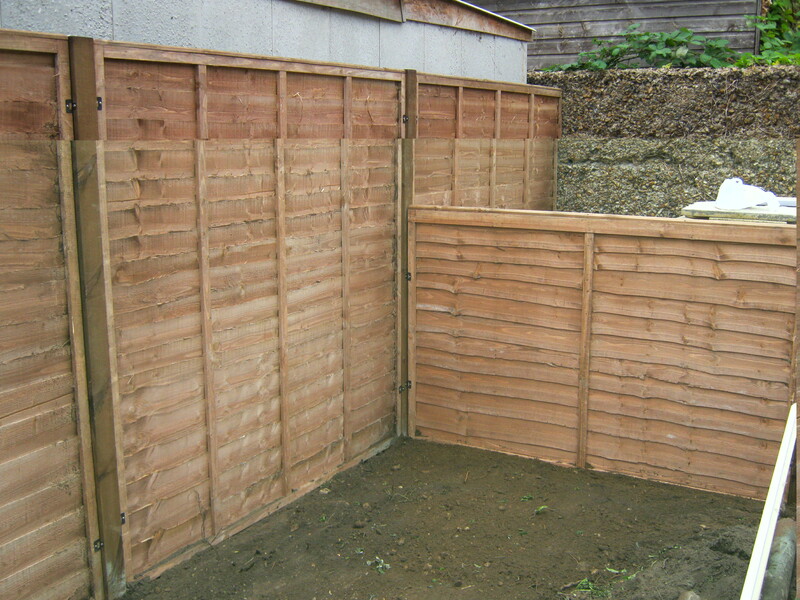 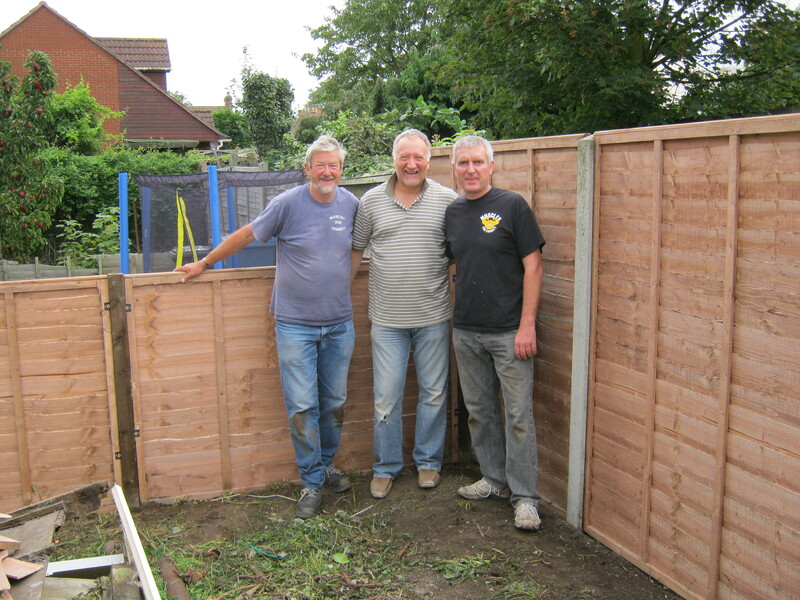 Followed in early September by the fence erection squad !! 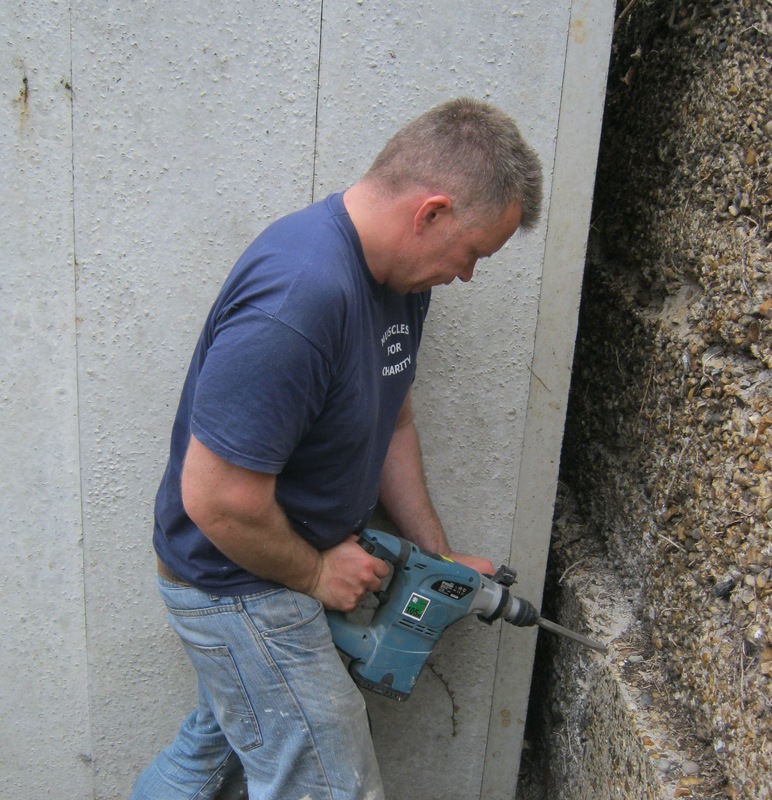 Visit the Muscles UK 2010 projects page for a random selection of this years projects.